My books are any genre that leads to an interesting book to write. I do have an affinity for Horror and Science Fiction, I grew up reading as much Alfred Hitchcock as I could Arthur C. Clark and Stephan King. I also had a little-known Author favorite: Carlton Carpenter :1971 "Cats Got Your Tongue" This was the one that hooked me into loving horror books. So that is where it really began. Before Carlton Carpenter, I read and watched, after him, I started to write short stories for myself. 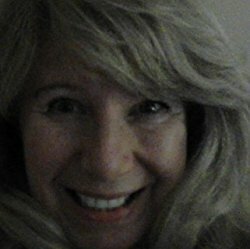 I have published three fiction books, and I am working on two non-fiction. One self-help, and one book that looks at some of the aging issues in our culture. I also am going to write a children's book. Alma, tell me a little about yourself. Where are you from? Is there anything you would like your fans to know about you that maybe wasn't revealed in your story? My childhood was one filled with my mother's dreams, my twin sister and I believed momma when she spoke of France and heritage, but we never really knew the life she spoke of. My sister and I spent our life growing up in the Atchafalaya Basin area, listening to our mother complaining about how life wronged her. I suppose my childhood was good compared to others around in our town considering the poverty we all lived in. My teenage years were typical, including a surprise pregnancy with my boyfriend whom I shared with my twin (he did not know or maybe he did.) My being naive did not help us with how we were viewed by the town either. Mother did not seem too concerned with us, she still lived in her dream world each day, thinking about Paris France. I regret giving away my baby every day of my life, I was guilty and know she would still be here if I had not given her up. I also miss my sister, I wish I could have been there for her and prevented her death. On the positive side, I have now found my granddaughter and life is good! I live, love, and try to be inspired each day! I would never have believed that Cooter could be so evil. I knew he was disgusting and vile, only to find out he was also a murderer just scared the living daylights out of me. His rage and craziness showed me a side of humanity I never knew existed. Those poor boys and what they lived through, how he tortured and murdered them. The two that got away, (Remy and Papite) were just lucky that day. And of course, the little ones being put into holes in the ground! I still have nightmares. When I look forward, I see Alouette, Cye and me having a good life. We all struggle to put the grief behind us, it is a work in progress. 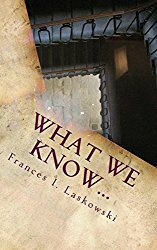 What We Know- Short story; After an accident leaves Scott in a wheelchair with amnesia, he has nothing but time to try to remember his past. Sometimes remembering is not the answer. 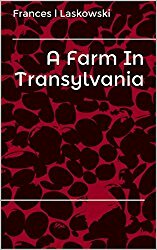 A Farm In Transylvania-Short story; Sarah seeks to find her family roots, she winds up in Transylvania where talk of Vampires and Werewolves leads to an unlikely conclusion about her parents past. I began writing many years ago for fun, I wrote in my spare time, between kids and work. I finally was able to devote more time to my writing (I had so many books in my head) I am a NaNoWrimo winner two years in a row, member since 2014, I believe this is a powerful site for anyone who wants to write a book. The support from NaNoWrimo is tremendous. 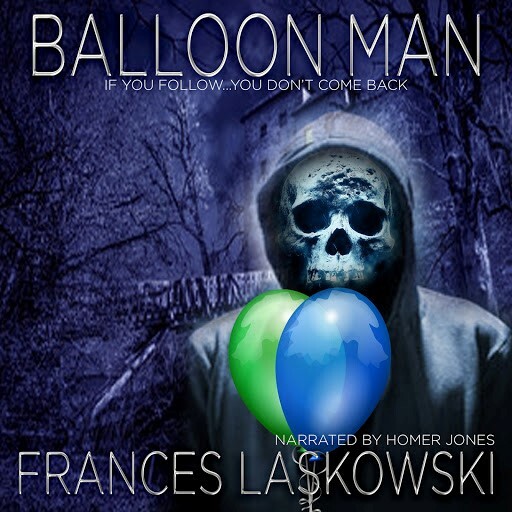 I finished my first novel "Balloon Man" and published through CreateSpace. I find if I just keep writing what I feel, I never stop running out of stories, so hence, I just write! I have taken classes, and courses throughout my life, and I always dreamed of obtaining my MFA degree, financially I was stuck when I was studying, so I am still working at this goal, and I hope to complete it someday. Education is a priceless, valuable commodity. I still take as many writing courses as my budget will allow. I believe writing comes from the heart, and if you feel it, you can write it. I try to pull my characters out of people I have met, or places I have been, I then research to paint the best picture for the reader. My style is whatever works for the story, most importantly putting the work into logical chapters so the story flows well. I have changed stories from first to third. Head jumping always needs fine-tuned, but it gives me the most excitement as a reader...so I like to write that way too sometimes. I am now reading a book called:Analysis and Critique, How to Engage and Write about Anything. By: Professor Dorsey Armstrong, from Purdue University. It is part of The Great Courses number 2133 The Teaching Company. I am learning how to make my audiences time really count. If an audience only has the time or inclination to read one piece of my writing, I have to make that one time really count. I usually design my own Covers because of cost, but If I had it my way, I would hire Ashley Fountaine to do all of them if I could. 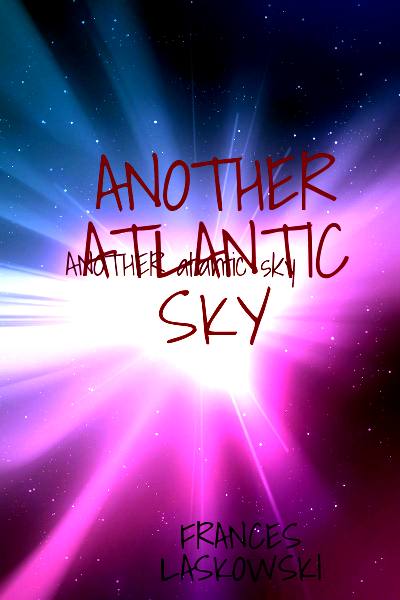 My current project is "Another Atlantic Sky" The story is about a young girl in the future. Caption for "Another Atlantic Sky"
Mia is a sixteen-year-old girl living on Earth one as a prisoner. Lonely and isolated most of her life, She dreams of freedom. Humans are controlled by gigantic Scarab beetle type creatures called Benders. When Mia forms a secret friendship with a short hairy criminal from Earth two, she has no idea his bold manner would help her to learn the truth about herself. Risking their lives, they search for freedom, and they discover their own past and future.